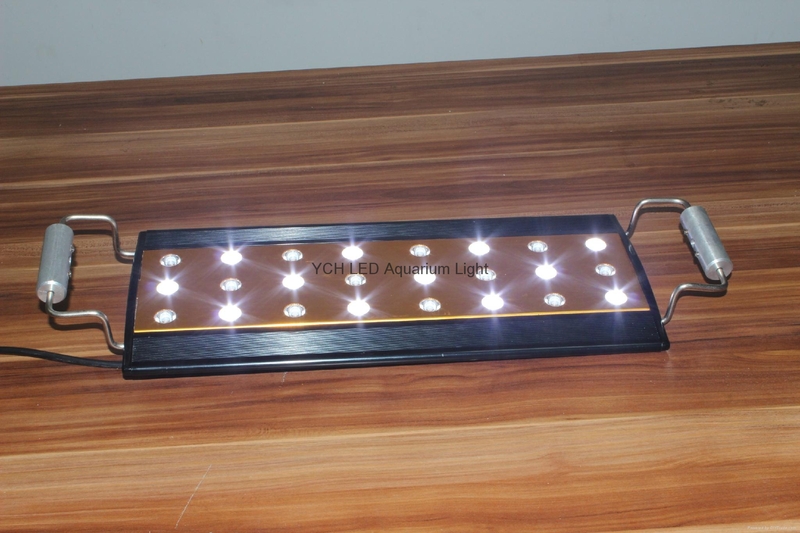 Professional structure and appearance design make products beautiful and extra-thin,A telescopic bracket can be suitable for different length of fish tank,and moreover,interconnection can be realized between lamps. With environmental,safety, energy-saving, our products can save 80% power than traditional lamps.Not containing mercury and other heavy metal material. No glass,neither glue,convenient and quick,the thinness of products reduces transportation cost. External isolated power supply is convenient for installation and maintenance. With the high efficient optical design of optical lens by large angel, Light utilization rate increases higher. The proposed color temperature of white light ranges from 10000 to 14000nm,and the wavelength of blu-ray ranges from 430-460nm.provide the light that marine fish and coral need. 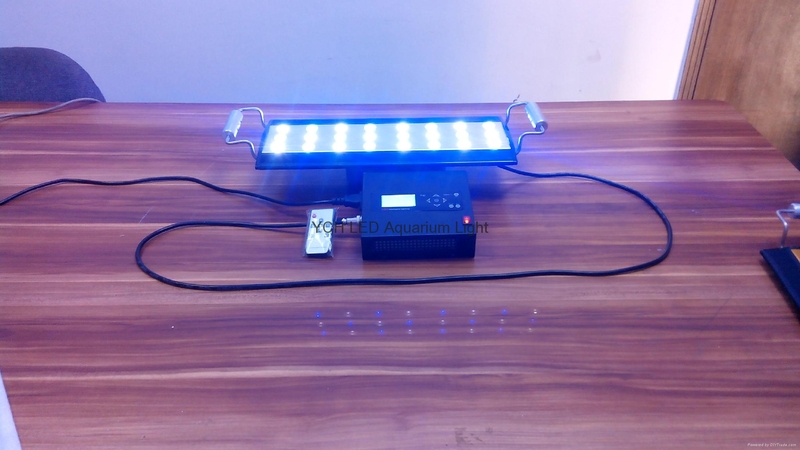 1.Applicable for mariculture,fish tank and aquarium lighting. 2.Suitable for the growth of the vast marjority of marine organisms. Blu-ray can be available at night for ornametal,showing excellent performance on making coral and fish glow vibrantly. Blu-ray alternating with white light can provide required spectrum of aquatic plants.